Articles on tattooing, from Tattoos.com. This website is a directory of the most talented tattoo parlours in Melbourne and the surrounding areas. The Bead Ring. A Tattoo art webring. Bad Tattoos. The worst tattoos in the world. A gateway to the world of Tattoos and skin art. A friendly online tattoo community which provides its members with the very best in tattoo related help. Mr. Roadtripperwrites on all things tattoo-related. A blog with information about body tattoos, tattoo ideas, tattoo removal for the tattoo newbie or body tattoo enthusiast. Iinkedblog takes you beneath the skin of today’s tattoo culture. A weblog focusing on tattoos, tattoo culture, music, art, books and more. 20 Tattoo blogs you must read. The best tattoo blogs and body art forums on the internet. Interesting blogging about tattooing and the art and talent involved. TH Tattoo, a Romanian blog. Connect, explore and share over 1 million tattoo designs, photographs, artworks, meanings, stories and more. Writing about Tattoo work in the New York City area. The Place for Tattoo Lovers, Tattoo Artists, Tattoo Galleries etc. Body painting web directory, by Sentai. Celtic Tattoo Art, a site by Pat Fish. Conventions, a web list from Tattoos.com. U.S. and international websites. Over 8000 free tattoo designs. Tattoo Art has been producing high quality tattoo designs for professional tattoo artists for over twenty years. Flash, books and a section dedicated to vector art designs. TattooArtists.org is a free professional and social networking community for Tattoos. A large collection of free, downloadable tattoos. Butterfly tattoos, Fairy, Lower Back, Girl Tattoos, Tribal, Star, Cross tattoos and more. Tattoos worn by historical figures and modern day celebrities. Images, artwork, equipment information, artist and studio listing and links. A ‘Top 50’ list of events, detailed information on various events with photographs, reviews, and jury details. Image galleries, meanings of popular designs and symbols, lists of celebrity tattoos, historical information and contests. featuring flash tattoos by Edward Lee, Guy Aitchison & top flash artists worldwide. Tattoos that are feminine in design, and are usually favored by women or girls. 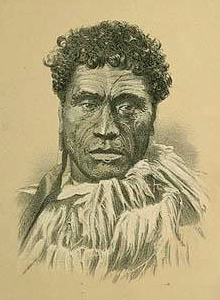 History of Hawaiian and Polynesian tattooing. C.W. (Chuck) Eldridge’s site has good tattoo history information. A weblog focusing on tattoos and tattoo culture. An epic quest around the world in search of the last authentic tribal tattoos. An apprentice of Horiyoshi III. Images, links, and writings. Articles, artist of the month, piercing galleries, tattoos, scarification and branding, as well as a message board and submission instructions. A forum for the exchange and discussion of ideas about tattooing and the equipment used. Includes a listing of studios and artist from around the world, reader’s photographs, past issues, historical information on the art form, image galleries and subscription information. Bella Online. Tattoos for women. Tattoos.com, a major tattoo internet portal. Maritime museums around the world – a directory. Tattoos Pictures Museum, an image gallery. National Geographic Magazine tattoo and body-piercing gallery. Tattoo Gallery, Tattoos. PowerHouse Tattoo Studio, New Zealand. Electric Ink Tattoo Studio & Wicked Art Body Piercing, Levin. A free online community for tattoo art. Show your picture and/or vote your opinion of pictures submitted by users of this website. Religious tattoos. A site devoted to Judeo-Christian body art. Provides important information about tattoo design choices. Blog dedicated to the misuse of Chinese characters in Western culture. A site that explores all aspects of tattooing, including safety and health issues. Tattoodles. Tattoo art & designs, a gallery. Tattoo traditions of the Pacific. By Tricia Allen. Custom fake temporary Australian tattoos. Tribalectic. Body modification, body jewellery.